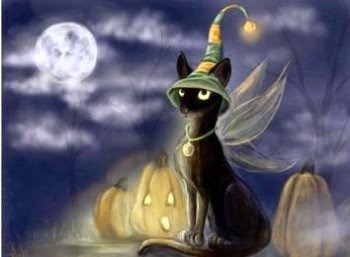 Among the characters that are characteristic of Halloween parties are undoubtedly the mysterious and devilish black cats, but actually these animals can also be extremely tender and adorable. 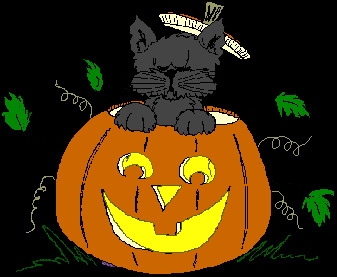 Below you are going to find a great selection of images of cute black cats perfect for Halloween. 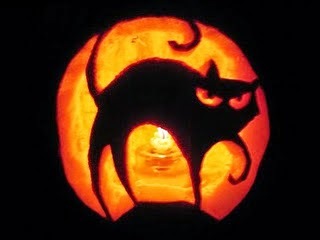 A black cat inside a lighted pumpkin. 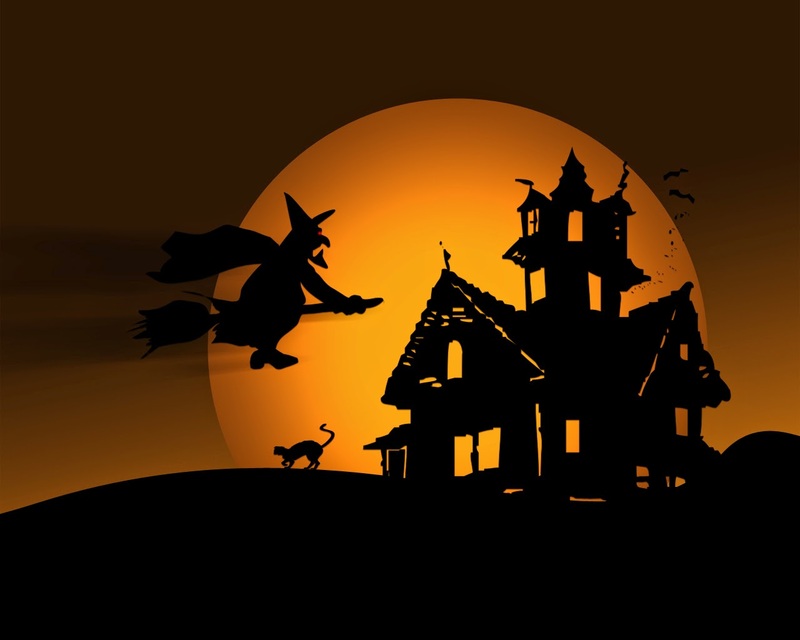 An image of a black cat in front of a castle, above you can see a witch flying over the place. 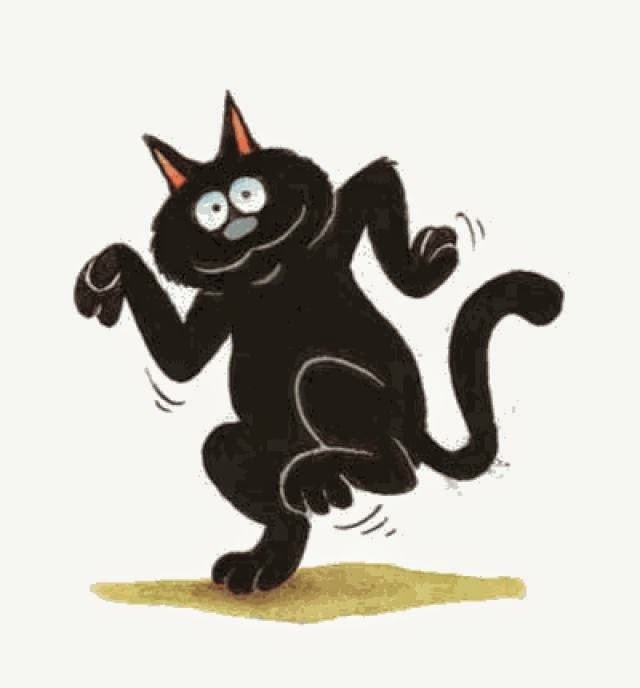 A funny image of a black cat dancing. If you think dark black cats are really mysterious, this is a good example. 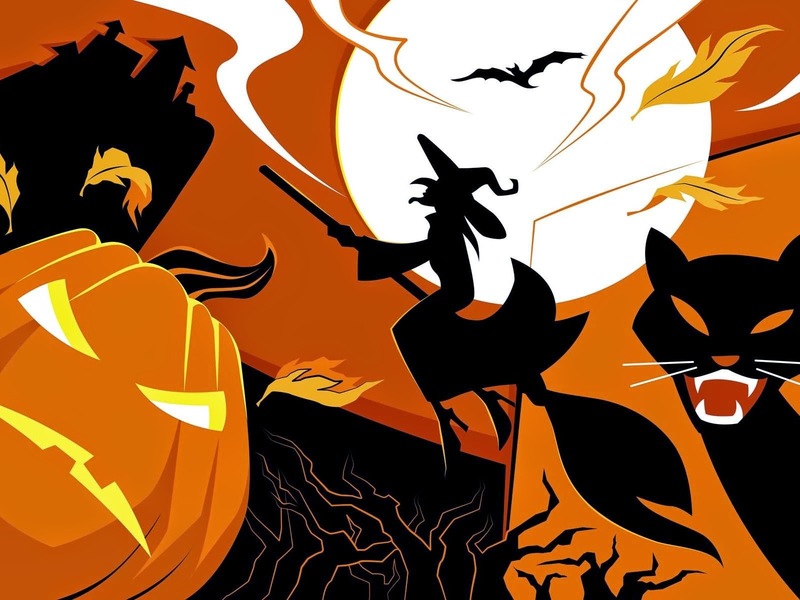 Another particular image of a black cat with a witch on her broom, a pumpkin, a bat and a castle. A beautiful and slender black cat with wings and a hat. 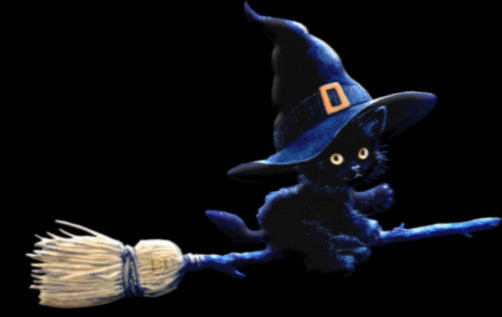 An image of a black cat with a witch hat flying on her broom. An image of a black cat ready to take a bath. 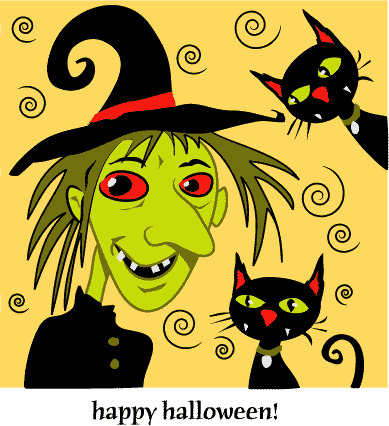 An image of a terrible witch beside two black cats with particular faces. 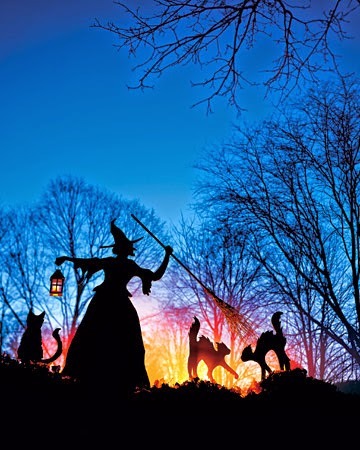 In this picture you can see a witch in the middle of a dark forest, surrounded by some black cats. 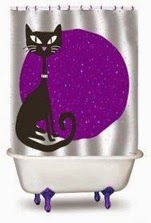 I hope you have enjoyed these images with Halloween Black Cats.